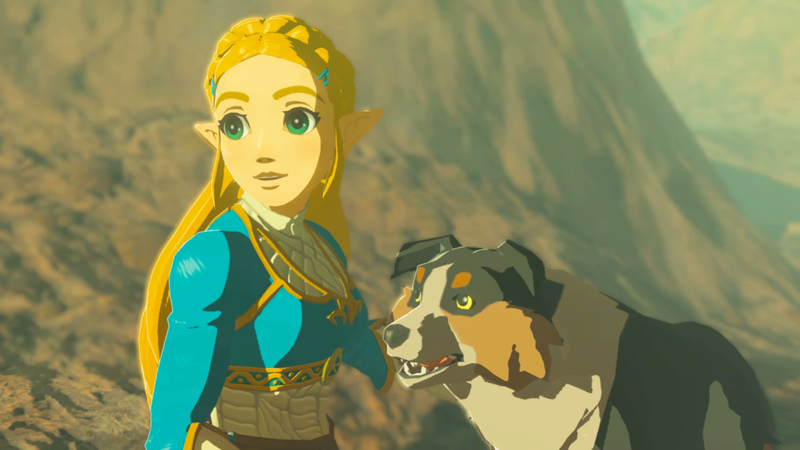 Even Zelda can’t believe it! Breath of the Wild’s new DLC focuses on Hyrule’s past, telling stories of Link’s companions and the ancient world that came before them. The final boss, a centuries old foe, has a surprising weakness. The Champions’ Ballad’s final challenge is a boss fight against Monk Maz Koshia. The ancient Sheikah tribe warrior employs a variety of traps and ninja techniques that will push players to the limit of their abilities. However, Maz Koshia has a major weakness. If players drop bananas, he’ll get distracted by the delicious, potassium-rich fruit and lower his guard, allowing for extra hits. You can see it in action in the video below by GameXplain. Breath of the Wild players might recall the rogue Yiga clan, an evil branch of the Sheikah tribe that pledged their loyalty to Ganon. One of the most memorable rooms in their hideout had an altar with dozens of bananas on it. You could drop them to distract patrolling guards in a stealth sequence. It seems that the Sheikah’s love of bananas stretches back thousands of years. It would seem that Monk Maz Koshia’s love of bananas is the scene in question. But is asks the question: why are bananas so important to the Sheikah? “It’s still a mystery too me, too,” producer Eiji Aonuma said on the Switch news channel.